It’s been three weeks since we arrived in Charleston, SC and we’re feeling right at home here in our City Marina slip. We are within walking distance of the downtown historic district, shopping and some very fine restaurants. Our pace is slow and the weather has been wonderful. 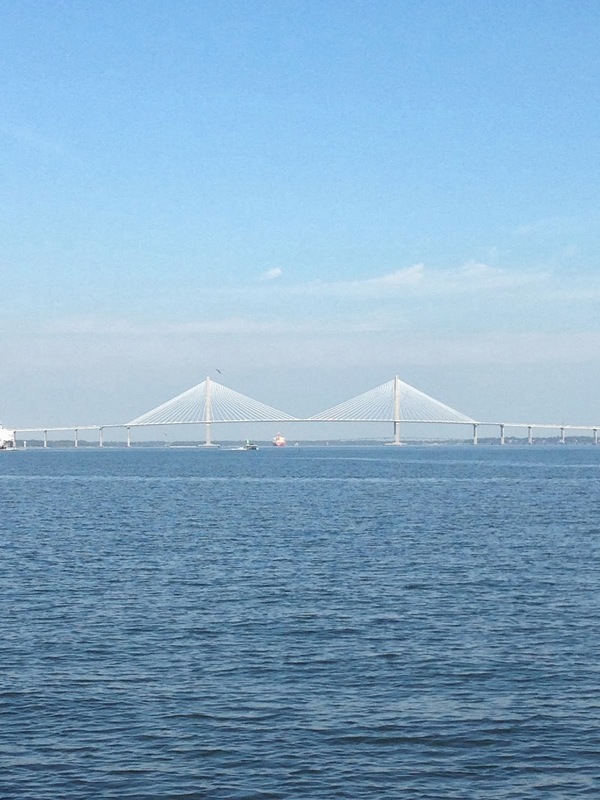 We have been very fortunate to have visitors while here and have greatly enjoyed sharing Charleston with them. Grant and Lois (our future in-laws) came by on the way south for a lovely afternoon of conversation and drinks in the cockpit as well as dinner in Mount Pleasant. It was great to see them before the February wedding. Conrad flew in from Arizona to visit family in NC and dropped by for a few days. Together we toured the historic homes of Charleston, sailed the Cooper and Ashley Rivers, and ate/drank more than our fair share. It was great to have the time together. 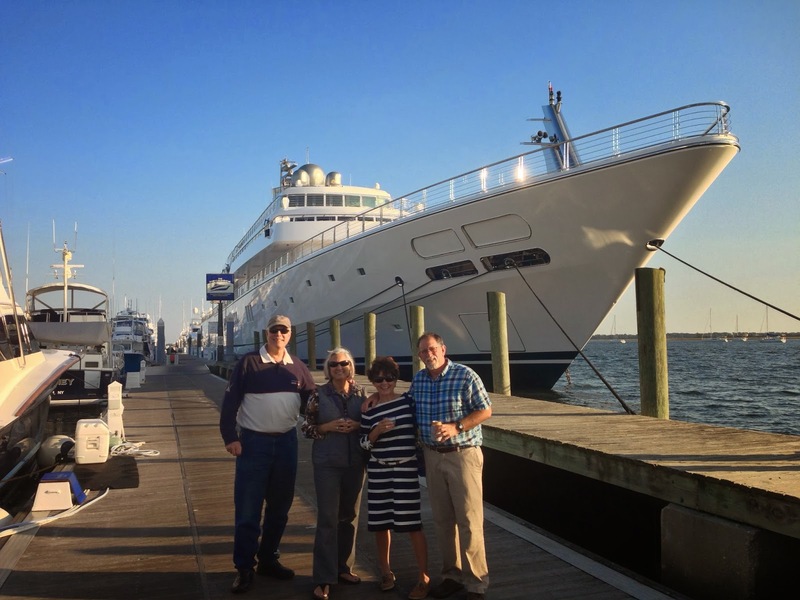 Richard and Martin arrived on “11-11” (an 85' Ocean Alexander) few days ago and docked near by. We had a chance to visit, share a drink and a few meals as well as the Red Sox victory (which is a tad more important to some than others). Soon they will be leaving for points south but we hope to cross paths again. We are a week and a half from the end of our stay in Charleston and hope to spend as much time with Amy, Liam, Ben and Jason as they can stand. Rachel and Pat will be here for the weekend. Now that the farm has slowed down, they are able to break away and have a little time in a warmer place. We can't wait to see them. We are beginning to plot our courses south through GA and FL before launching off to the Bahamas in early December. Out course south will include a combination of open water and inter coastal travel. Each section of the inter coastal has its charm, history and interest. Georgia tends to be a great deal of grass land, swamps and meandering creeks with a 6 foot tidal swing. Florida's coast and the ICW tend to be more varied with a combination of populated areas and wilderness. We are looking forward to it all.